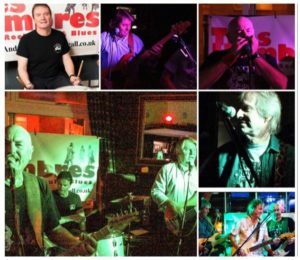 Tres Hombres is a guitar band that love playing live and are looking forward to returning to the Caerleon Festival and the Bell Inn for The Big Free! This year … unplugged! Songs from the Beatles, Joe Cocker, Springsteen, the Eagles, Tom Petty, Van Morrison, Steely Dan, the Young Rascals, Joe Jackson, Otis Redding and lots more! Find Tres Hombres on Facebook/Andy Berry, or, gigall.co.uk/Tres Hombres for all gigs and information about the band. See you at The Big Free 2019!